This item has been discontinued, please consider the MS-1-72 instead. Escalera Staircat Powered Stair Climber (72" H & 700 LB Capacity) - Escalera MS-72 is one of the finest, strongest, most reliable battery powered stair climbers on the market today which constructed of a tough tempered aluminum alloy, making the handtrucks stronger than magnesium, but lighter than steel. 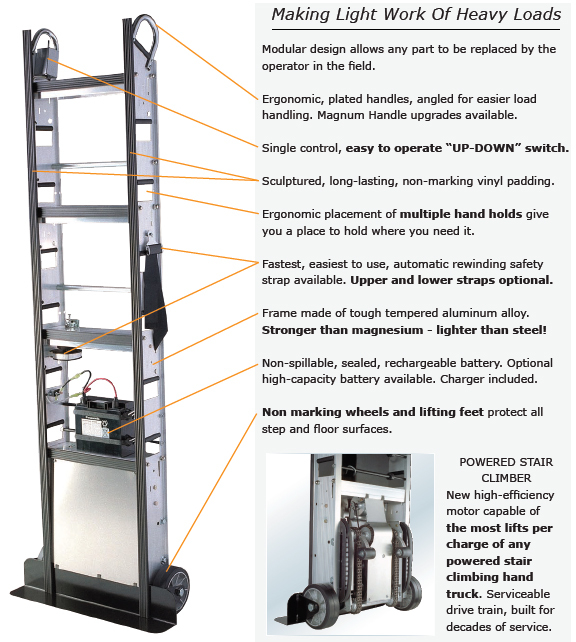 Every Escalera Stair Climber ships with the sealed gel-cell battery, automatic battery charger, and one automatic rewind safety strap included. 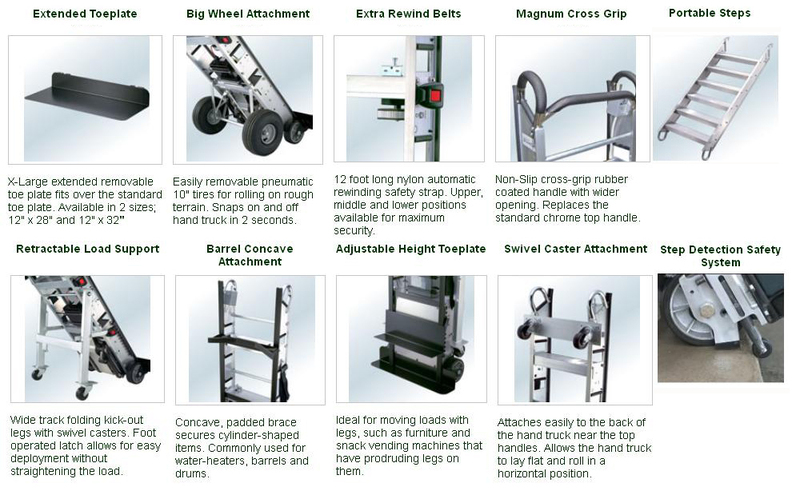 The Escalera Stair Climber hand trucks are 24 inches wide and range in size from 60 inches to 72 inches tall.